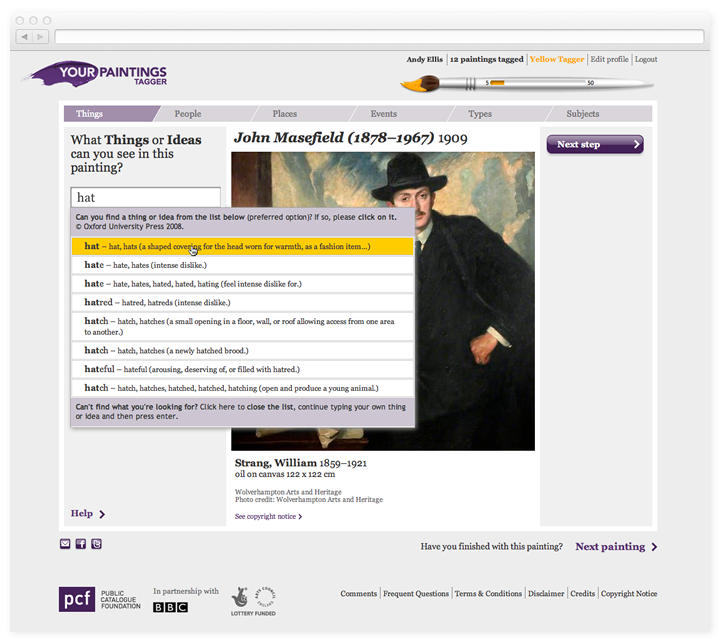 Tagger, part of the BBC Your Paintings, is a revolutionary, state-of-the-art crowd-sourcing application that allows people to tag and classify paintings, helping to create a multi-faceted access to the extraordinary Your Paintings resource. Different audiences, from school children to scholars and people who are simply passionate about art, are having fun spotting and tagging details of paintings, thus helping others find art that is relevant to them, on any platform from computers to tablets and mobile phones. 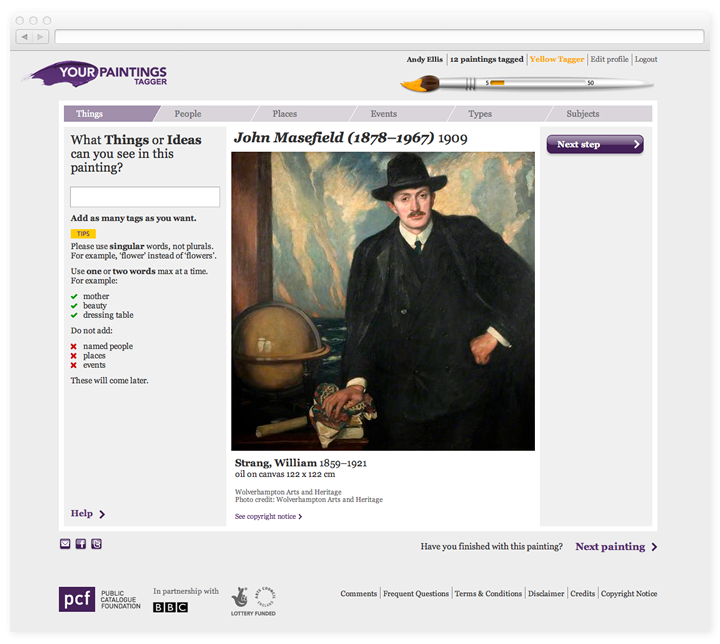 For the project, Keepthinking have created a new, entirely web-based Collection Management Software (Qi, which is generally available to license and already in use by the British Council and others) that allows the PCF to control the entire collection and that populates the BBC website. 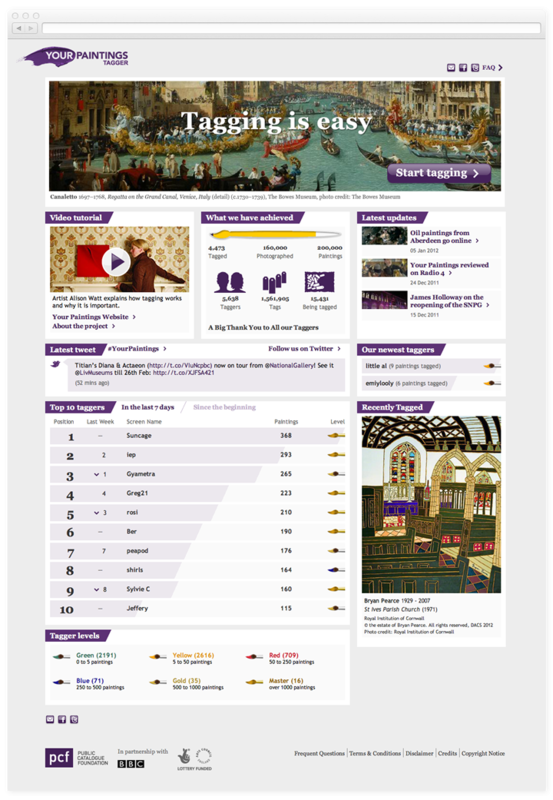 We have also designed and developed the Tagger concept and interface, which integrates with Wikipedia, ULAN (Getty) and The Oxford Dictionary. 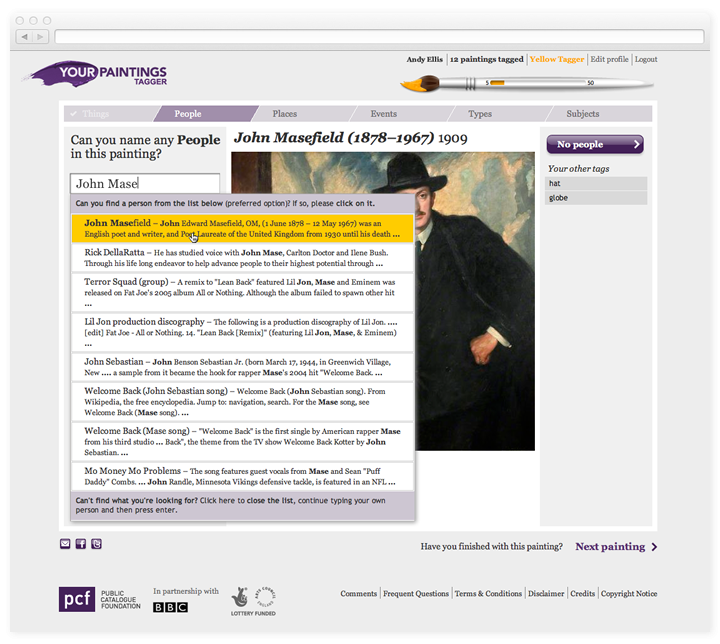 Over 6,000 people have taken part in tagging the 200,000 paintings in the first nine months of the project. 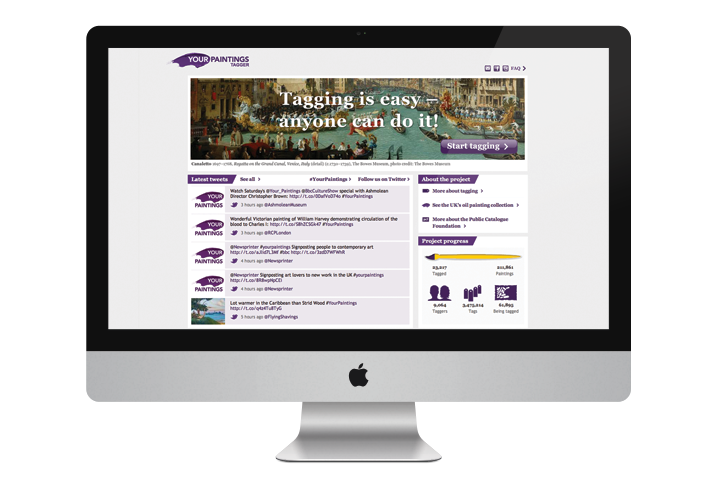 In excess of three million tags have been entered by enthusiasts, battling each other fiercely for the top title of Master Tagger. Tagging is not generic. Participants are asked to name what they see in a painting, distinguishing "Things or Ideas", Events, People, Places, as well as Categories, Types - and for experts dates and movements. Tags are backed by vocabularies and ontologies, such as the Oxford English Dictionary for Things and DBpedia (Wikipedia) for other facets. 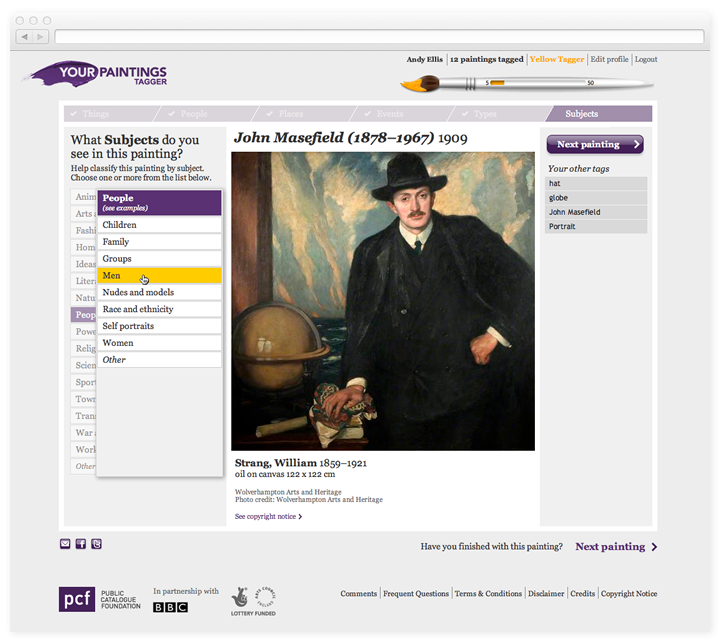 People is meant to help identify paintings' sitters, using Wikipedia where possible. Types and Subjects are based on lists devised by the Department of Art History of the University of Glasgow. 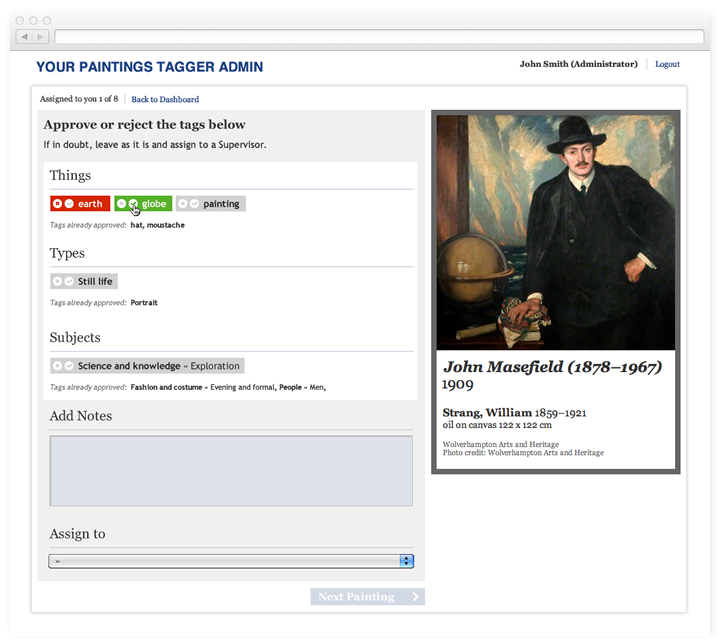 Once paintings are tagged by a sufficient number of people, they are processed automatically to eliminate wrong tags and categories. If any are ambiguous, paintings are referred to experts from the Art History Department at the University of Glasgow for final approval.